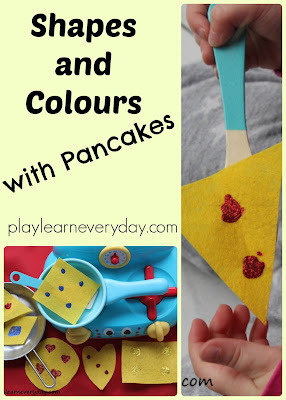 It's almost Pancake Day and we're using it as an opportunity to make felt pancakes for our play kitchen. Ivy is just learning her shapes and colours so that was the focus of our activity today. I started by cutting the felt into a variety of shapes. I chose a few simple shapes; a square, a circle, a rectangle, a triangle, a heart and a diamond. Then as I put the shapes out on the table I asked Ivy to identify each shape and helped her with the ones that she wasn't sure about. Then we used the different colours of glitter glue to draw toppings on the pancakes. We drew different coloured fruit (strawberries, blueberries, banana slices, etc) and then left the glitter glue to dry for a few hours. When the glitter glue was dry we were ready to play! We put the pancakes out in our play kitchen and the kids were happy to explore and pretend to flip the pancakes in the pans. 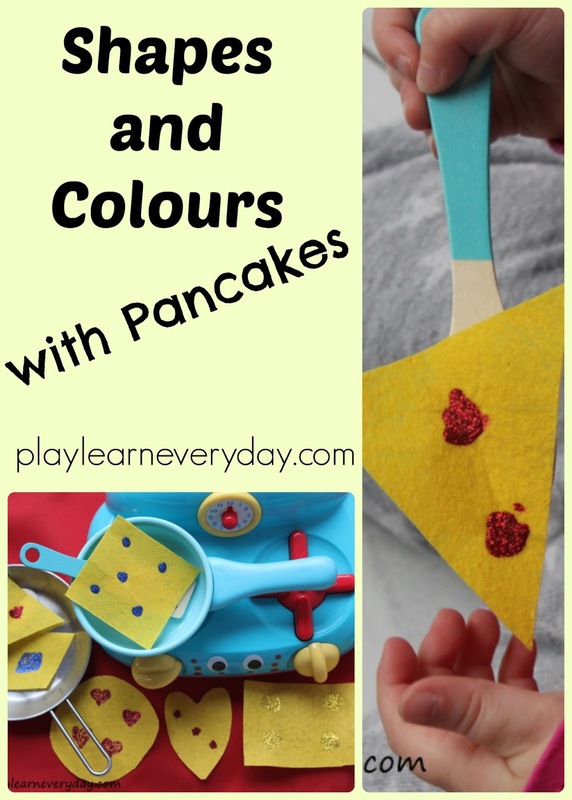 It was a great opportunity for them to play and explore the shapes, colours and numbers of toppings on the pancakes at the same time.